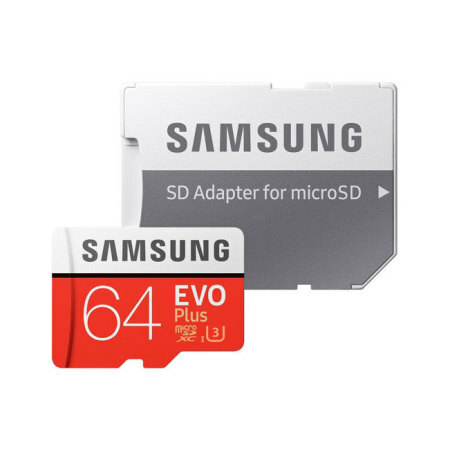 Great for recording 4K UHD video, this Grade U3 64GB Micro SDXC memory card from Samsung features impressive read / write speeds for retaining detail in photos, videos and more. Securely and safely store files, documents, media and anything else you need. Thanks for the memory card. This very good. 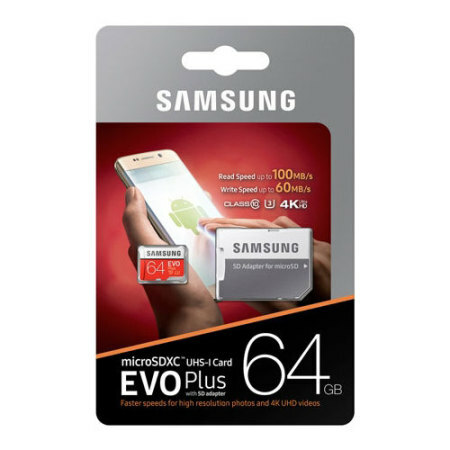 Save all of your precious memories with the Samsung 64GB MicroSDXC EVO Plus card. 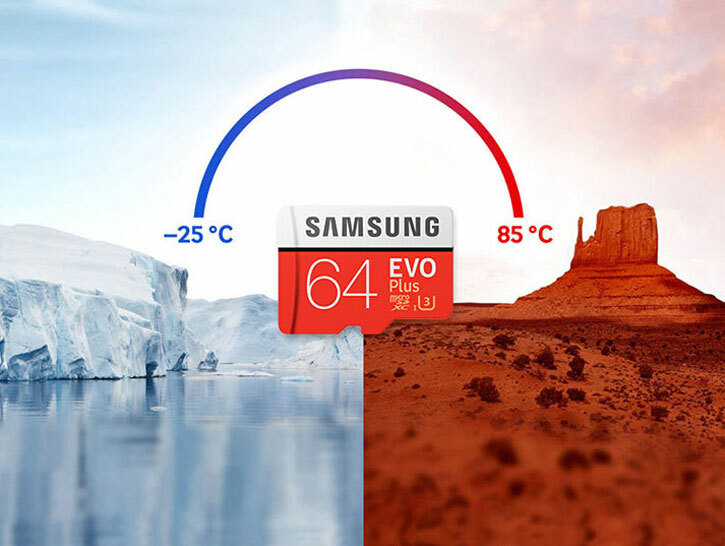 Capture the moments that matter as vividly as you can remember them, the Samsung EVO range allows you to shoot beautiful UHD 4K videos that keep each memory safe, sound and as clear as the day it happened. 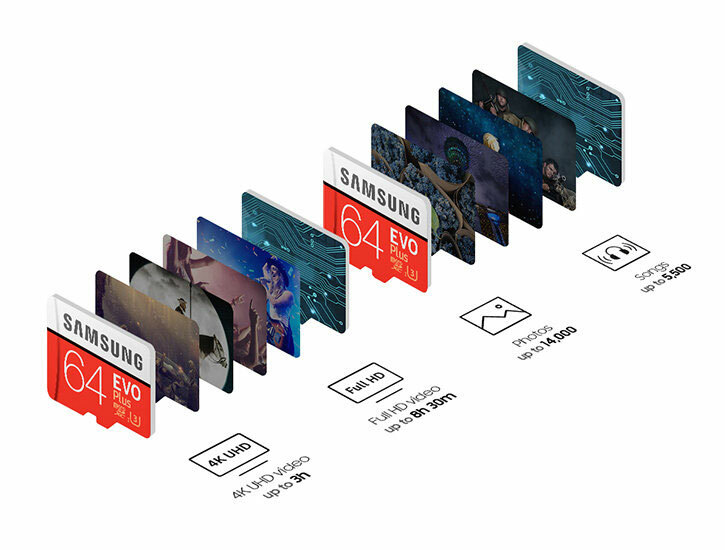 Featuring read speeds of up to 100MB/s, as well as write speeds of up to 60MB/s, the EVO Plus is among Samsung's highest performance cards. 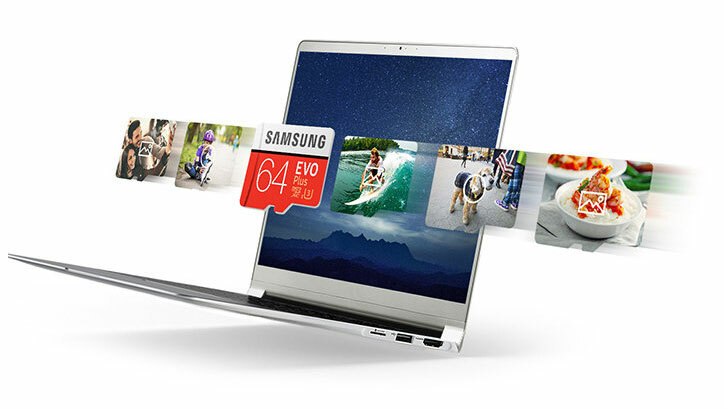 Fully capable of shooting 4K UHD video, this card will preserve every minute detail of your life whether in stills or footage. 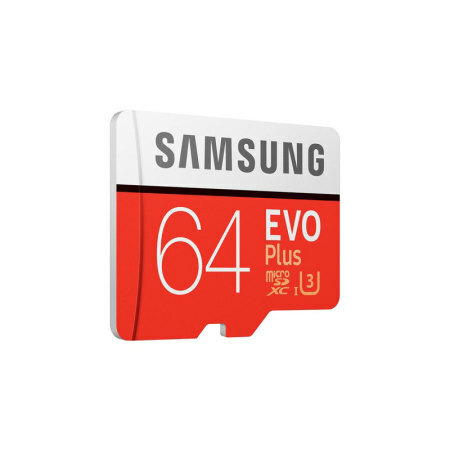 Using the EVO Plus Micro SDXC card from Samsung is just like having your very own biographer - with a perfect memory and an excellent eye for detail. This card will store your photos, videos, music and anything else you might want to take with you, wherever you're going or whatever you're doing. 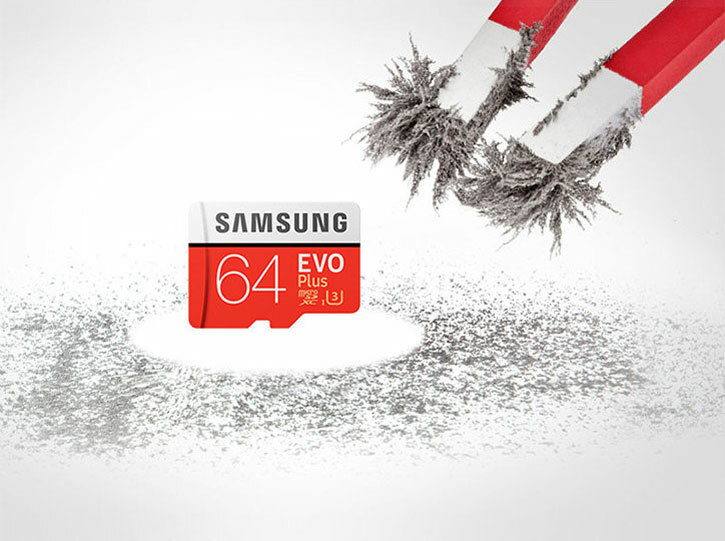 EVO Plus is fully equipped to defend your memories against the elements. This card is able to withstand up to 72 hours in seawater thanks to an IPX7 rating, temperatures between -25 degrees and 85 degrees Celsius, magnetic fields of up to 15,000 gauss and X-rays equivalent to airport machines. 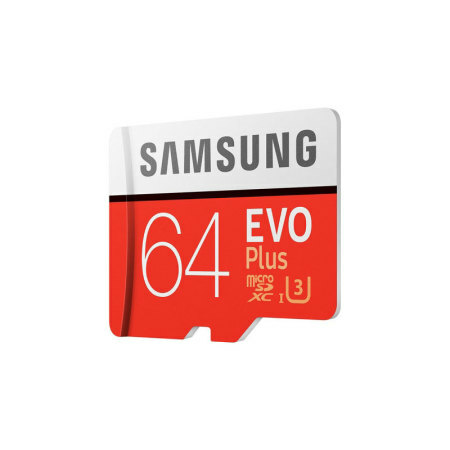 With such robust, reliable protection on your card, you know you'll never lose those precious memories. 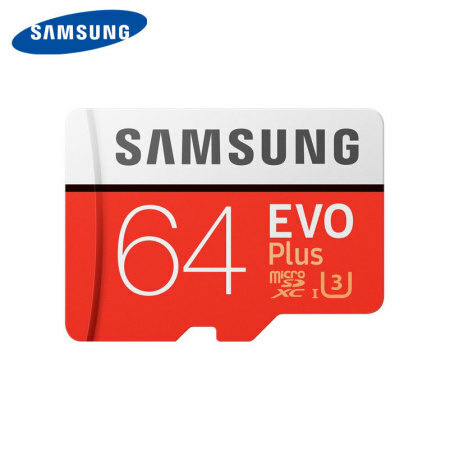 The world's most trusted and leading technology company brings you a UHD 4K compliant Class 10 performance Micro SDXC Card. 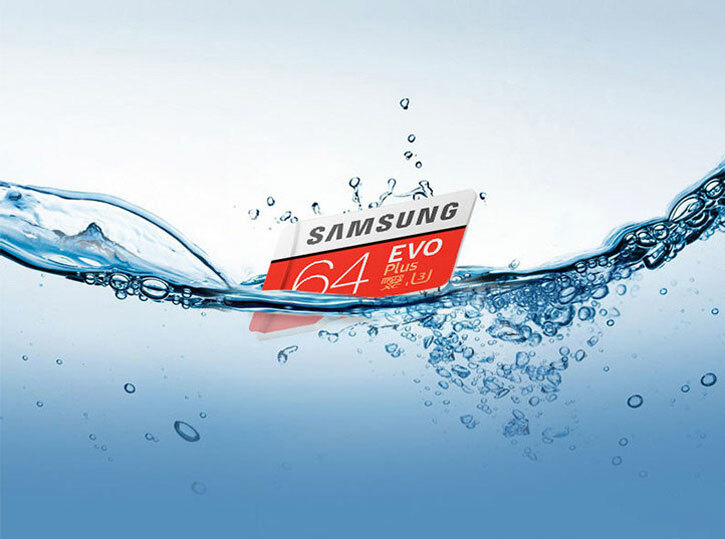 With experience proven time and time again, Samsung memory cards deliver the highest level of performance and protect your special moments no matter what life throws at them. 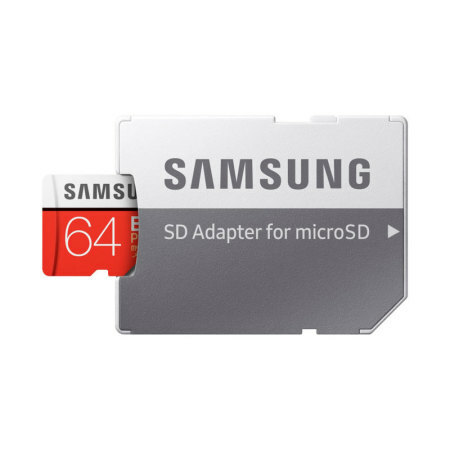 Adding versatility to utility, this card comes complete with an adapter for standard SD card slots - ideal for any reader or hub you might be using. Dimensions: 0.58 x 0.43 x 0.04"